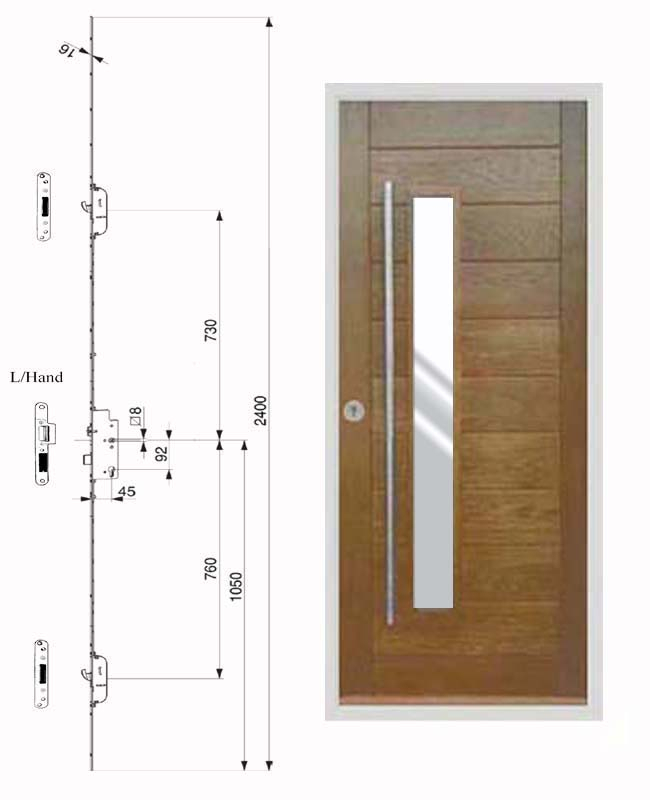 This design uses a wind up multipoint door lock operation. A lever handle is not required, everything operates with the euro cylinder. By turning the cylinder three revolutions you engage the locking points. To disengage you turn the cylinder three revolutions in the other direction, by turning the cylinder a further quarter turn you release the spring latch this allows the door to open. Be aware you do need the key to open this door.